Tortoise Chelonoidis Nigra Abingdonii or the Pinta Island tortoise, also referred to as the Abingdon Island tortoise the Pinta giant tortoise or the ‘giant’ tortoise of the Abingdon Island, originally belonged to the subspecies of the Galapagos tortoise, a native to the Ecuador’s Pinta Island. This is how Albert Gunther described it in 1877 when he brought a certain specimens to London. 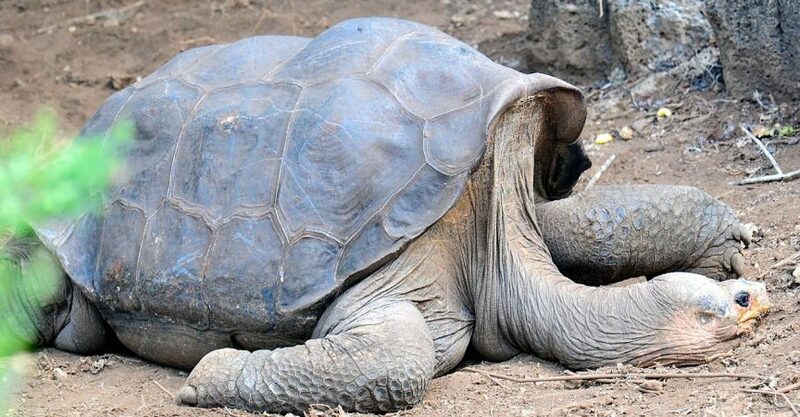 The experts believed that mid 20th Century saw the majority of the tortoises in Pinta Island wiped out because of excessive hunting, and had become extinct until they found a lone male that, over a period of time would acquire the name; “Lonesome George” and become world famous. Galapagos Islands housed this subspecies of tortoise in abundance, and, as always, had been the case, with the invasion of the humans in the lands of the wilds, the poor tortoises had to face their nemesis: their extinction. The sailors and the pirates would hunt them down, possibly for their meat, which would reduce their number to a mere few and later with the overgrazing of the new species of animals on this planet, the tortoises came to the verge of being wiped out and so they did. They did become extinct, leaving behind ‘Lonesome George’. They made many efforts to mate this single male tortoise, George, with other subspecies but it bore no results. 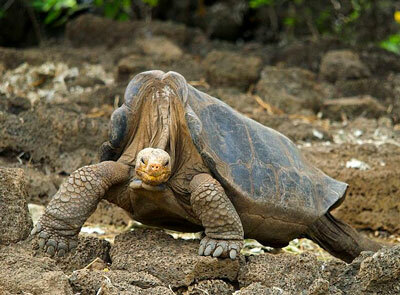 There were no viable eggs out of it and eventually a time came when “Lonesome George” would die on June 24th, 2012. George was found lifeless by his companion, Edwin Naula, who took care of him for about 40 years, near his watering hole. Poor George had survived for about 100 years, as was estimated by Naula, only to die of a cardiac arrest due to his old age. Although an autopsy was proposed to determine the actual cause of the death of the rarest animal on earth, there will remain no doubt in the people’s minds that this marked the end of an era, the end of a subspecies. George was considered the rarest of creatures in the world, in his last years, and would serve as the potent symbol of the conservation efforts both in Galápagos as well as internationally. 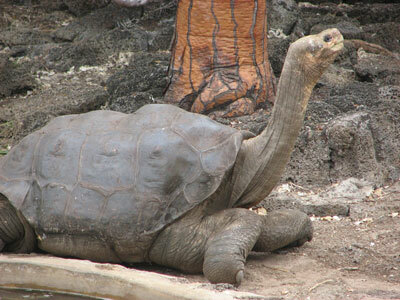 He became the symbol of the Galápagos Islands, after biologist Joseph Vagvolgyi found him in 1971, on the Pinta Islands. George’s death marked the end of the existence of the purebred tortoise in Pinta Island, but biologists still retain hopes of one day discovering these rare tortoises that have probably survived in some other form. Life always finds a way, that is all we can hope for. Anyway, in the recent past, Yale University researchers at the Wolf Volcano on a neighboring Isabella Island, found at least one first-generation decedent of this subspecies. They considered these specimens as juvenile, but the possibility that the adults or their parents are still alive, cannot be totally written off.